Tell us about yourself: We currently have four dogs. 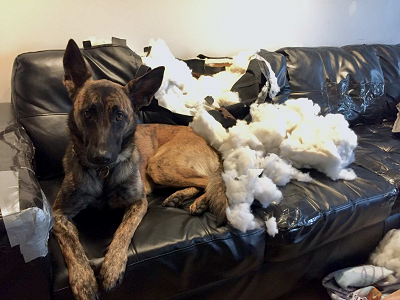 A Boxer imported from Russia, An American bred German Shepherd, an imported Belgium Malinois and an imported from the Netherlands Dutch Shepherd. My husband is planning on titling the Mal in Schutzhund and I am working with my Dutchie for PSA. We are very into the dog sports and learning more every day. Does anyone know of any Schutzhund, PSA, Ring sport groups in this area? Tell us about yourself: Own working doberman and was given a Dutch Shepherd by a friend. I am a certified decoy for IPO and dabble in ringsport decoy work. I live in Lexington and I am currently training 3 dogs to do IPO and eventually will move into Mondio. I am part of a Doberman club that tries to meet 2 times a week. We aren't exclusive about breeds at all because I have DS. I am decoy for IPO and have been dabbling in Ringsport. I have a suit, blinds and the area to train at. If you need anymore details please email me. Thanks.